Just a great multi-purpose product, with a simple but effective formula. Made with organic lemons and honey (for its great anti-microbial benefits) it has a light, zesty fragrance. I mostly use it as a hand soap, since it doesn’t dry out my hands. Now onto the hair products, shall we? As a gal with fine hair, I always long for a products that gives my flat hair more oomph and fluffiness…or to put it differently, Victoria’s secret hair haha. Having used up my Rahua Voluminous bottle, I needed something to fill the void, and Fennel Papaya turned out to be a great shampoo rebound! It does exactly what it promises: a clean scalp, noticeable volume to the roots and bouncy locks. I could already tell the difference after one use, which I can’t say for most shampoos. The scent is fresh and crisp; the perfect balance between fruity and herbal. Fennel Papaya was definitely my favorite. SODIUM COCOYL GLUTAMATE, GLYCERYL OLEATE, ALCOHOL DENAT. **, CARICA PAPAYA (PAPAYA) FRUIT EXTRACT*, FOENICULUM VULGARE (FENNEL) FRUIT EXTRACT, HYDROGENATED PALM GLYCERIDES CITRATE, SODIUM PHYTATE, TOCOPHEROL, ALCOHOL, SODIUM LEVULINATE, SODIUM ANISATE, CITRIC ACID, SODIUM CHLORIDE, PARFUM (FRAGRANCE), LIMONENE**. * Ingredients from certified organic agriculture. ** From natural essential oils. Just like Fennel Papaya, the scent is pleasant, but even more subtle, which is probably another reason why my father enjoyed it so much. INGREDIENTS: AQUA (WATER), COCO-GLUCOSIDE, LAURYL GLUCOSIDE, SODIUM COCOSULFATE, GLYCERIN, DISODIUM COCOYL GLUTAMATE, PCA GLYCERYL OLEATE, COCOBETAINE, SODIUM COCOYL GLUTAMATE, GLYCERYL OLEATE, HYDROGENATED LECITHIN, HYDROLYZED WHEAT PROTEIN, ALCOHOL DENAT. **, HYDROGENATED PALM GLYCERIDES CITRATE, SODIUM PHYTATE, TOCOPHEROL, ALCOHOL, CITRUS GRANDIS (GRAPEFRUIT) PEEL OIL**, ROSMARINUS OFFICINALIS (ROSEMARY) LEAF EXTRACT**, ROSMARINUS OFFICINALIS (ROSEMARY) LEAF OIL**, SODIUM LEVULINATE, SODIUM ANISATE, SODIUM CHLORIDE, CITRIC ACID, PARFUM (FRAGRANCE), LIMONENE**. * Ingredients from certified organic agriculture. ** From natural essential oils. I was less impressed with this product, but to be fair, my hair is quite demanding. If you’re looking for a gentle and light conditioner, which gives your hair more shine and soothes split ends, this is a lovely product. I just need something more potent because my locks can get crazily knotted up. INGREDIENTS: AQUA (WATER), CETEARYL ALCOHOL, GLYCERIN, GLYCERYL STEARATE CITRATE, ALCOHOL, PHOSPHOLIPIDS, COCOS NUCIFERA (COCONUT) OIL*, ISOAMYL LAURATE, PCA GLYCERYL OLEATE, HELIANTHUS ANNUUS (SUNFLOWER) SEED OIL, CITRUS GRANDIS (GRAPEFRUIT) PEEL OIL**, ROSMARINUS OFFICINALIS (ROSEMARY) LEAF EXTRACT**, ROSMARINUS OFFICINALIS (ROSEMARY) LEAF OIL**, SODIUM LEVULINATE, ALCOHOL DENAT. **, XANTHAN GUM, GLYCERYL CAPRYLATE, SODIUM ANISATE, SODIUM PHYTATE, CITRIC ACID, PARFUM (FRAGRANCE), LIMONENE**. * Ingredients from certified organic agriculture. ** From natural essential oils. This one is the one you reach out to in the bathroom, when you need to wash your hair quickly, with maximum results. It’s invigorating, reviving dull hair and turning them into a smooth and manageable mane. The smell is really pleasant, and pretty much just like the entire line, nothing is too fragranced. LEVULINATE, SODIUM ANISATE, CITRIC ACID, PARFUM (FRAGRANCE), LINALOOL**. * Ingredients from certified organic agriculture. ** From natural essential oils. 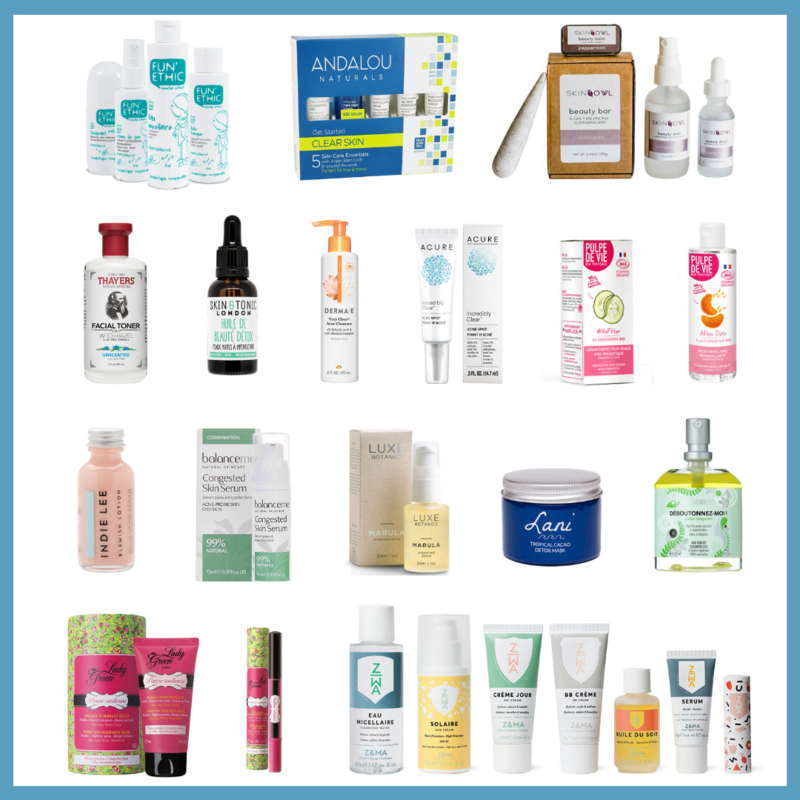 While browsing their website, I saw that several hotels were stocking their products, which is awesome because so far, I’ve never been able to use hotel bath products, which were still filled with parabens and other chemicals. Let me know in the comments, if you have been in a hotel that actually had a green bath and beauty range. Looking to expand my collection, I bought on Ecco Verde their toothbrush and mint toothpaste. I also have my eyes on their Hibiscus Brazil Nut Shower Cream. Overall, I have no doubt about the increasing popularity of Stop the Water While Using Me. This company goes the extra mile, the products are packaged in refillable bottles, available in various sizes, at affordable costs. Smart branding, sleek packaging (everything looks so good in the bathroom 😉 and last but not least, a great message. A part of their revenue goes to water charity projects, for those who are unable to have access to clean water. You can learn more about the latter here. I will remember to reduce water waste when I use the products, but I won’t stop using this brand. 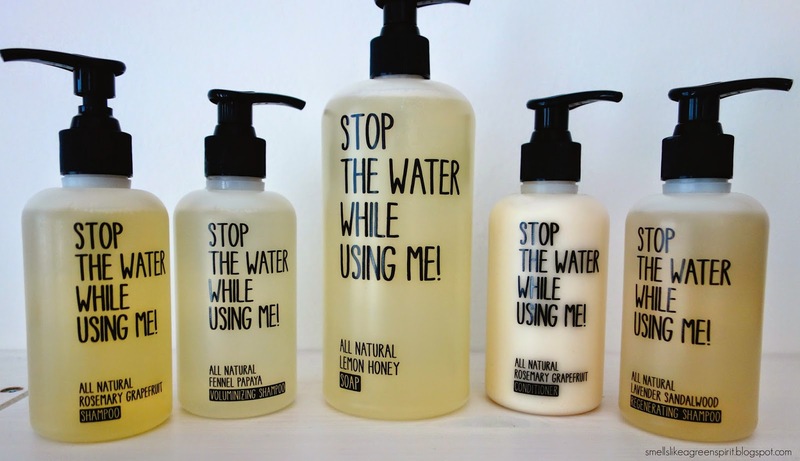 Have you heard of Stop The Water While Using Me? Belle belle belle with Blue Labelle, Moringa & raspberry Seed face oil. What a cute brand name! Good to hear that the fennel papaya shampoo works, but from now on I think I will try to avoid glycerin in my shampoos as well (it's in Rahua too). Great brand name and the products sound lovely! I've been looking to expand my natural hair care arsenal, so my interest is definitely piqued. Great review! This brand is new to me so I'm very much intrigued! I really like this name – it acts as a constant reminder to turn that water off – which I've been doing lately. 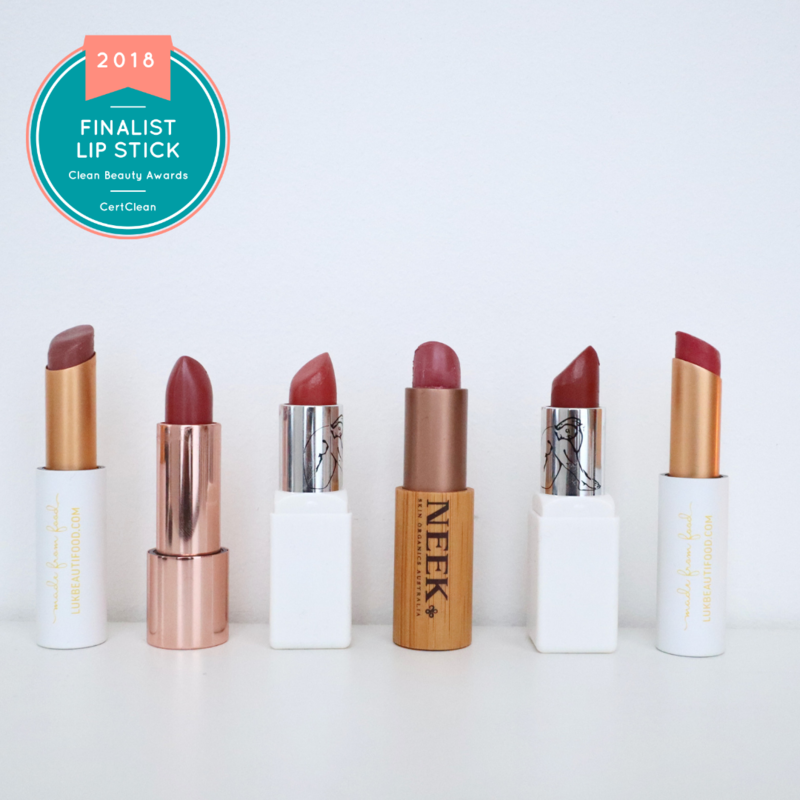 I am an organic beauty adept and it's great to see your product selections! Nice to meet you! :) Followed on Bloglovin!